Talula’s keeps the oven aglow from sunrise to sundown for the Asbury Park community, with a bakery, restaurant and bar menu designed to celebrate local flavors and artisanal dishes. 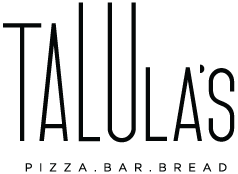 The Talula’s family was inspired to create a place where their community could gather around freshly baked goods and hand crafted pizzas for warmth, comfort and sustenance. This seed was planted when the trio banded together with family and friends to build a backyard wood-burning oven that would become the original palette for Talula’s menu. The hearth is at the heart of Talula’s, replicating the homespun spirit of the age-old, wood-burning oven. After earning his degree in Mechanical Engineering from the University of Pennsylvania, Steve worked as an architecture professor and sustainable building consultant. During his after hours, he was drawn to the scientific art of cooking. Now, Steve engineers fresh, sophisticated and,deceptively simple recipes that define Talula’s signature cocktails and dishes. Shanti’s early career in business and marketing was quickly won over by her passion for baking. Shanti refined her intuitive talent and style at Saltie in Brooklyn, where under the owners’ mentorship she grew a deep-found appreciation for high-quality, seasonal and sustainably grown ingredients. Shanti integrates her business savvy with Talula’s mission to be a valuable member of the Asbury Park community. As the youngest of twelve children, Shanti’s family-style approach to feasting is pervasive from Talula’s pizza pies to the communal farmhouse tables. Before sparking the fire in Talula’s oven, Josh honed his skills in French artisan bread baking at the country’s most acclaimed boulangeries, including Bread Lounge in Los Angeles and Bien Cut in Brooklyn. Josh first brought his vision for Community Supported Baking (CSB) to life through Backwoods Bakery, a bread share program he built in his hometown of Redondo Beach out of a makeshift wood-burning oven. Josh’s house-baked sourdough bread is a gift to every guest who walks through Talula’s doors, setting the stage for a nourishing and sustaining meal.